The prestigious Kuoni Fellowship Awards 2014 (KFA) were presented on February 14, 2015, at Fine Arts Auditorium, Mumbai to honour the achievers of Kuoni India. What started in 2006 has now become a most sought after and revered event at Kuoni India. 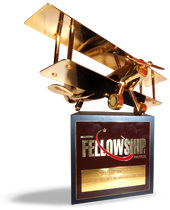 The KFA Program has been designed to recognize and celebrate the outstanding business contributions and achievements of the employees at Kuoni India. 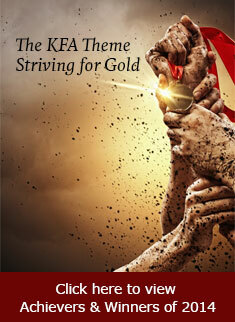 This year, the KFA celebrations climbed a notch higher. The event was hosted by our own employees and was conducted in a proficient manner almost reminiscent of an Oscar Awards Ceremony. There were a lot of firsts to the KFA, right from being celebrated with not just the employees but also inviting the presence of their families. For the first time the event was streamed live across India. While we had about 470 people in the auditorium, there were more than 750 people who watched and enjoyed this show live on their screens in 48 locations across India. The event began with a very inspiring speech by Kuoni India's MD, Rajeev Wagle who complimented all employees for an excellent performance in 2014 and expressed his wish that they surpass their budgets in 2015. Overall business success in 2014 demanded further inclusion for more employees to be appreciated and recognized. This year's plan was to make the Awards more inclusive by bringing even those not on the company rolls but working for us, within the ambit of these awards. Hence 2014 saw the addition of 6 new categories; Excellence in performance by an Implant, Excellence in performance by Branch–In–Charge at Franchisee location, Excellence by Outsourced Staff, Shared Service Excellence at Kuoni, Overall Excellence in Business, Best Branch - Metro & Non- Metro. Nomination Process: The Divisional Leadership Teams nominated employees in each category. These names were then discussed and reviewed by their respective CEO and the final list of achievers shortlisted. Later these achievers were interviewed by the Management Council. After the interviews the Management Council along with Head HR discussed the final names of winners amongst all these achievers. Out of 162 nominations that were received 105 employees were awarded across 18 categories. In addition, 13 people were recognized for their contribution through the Management Council's Special Recognition Award. All the 162 Nominees or Achievers were felicitated by the members of Management Council with an Award and Certificate. A point of note here was that as many as 26 employees have been named Achievers/ Winners for both 2013 & 2014.